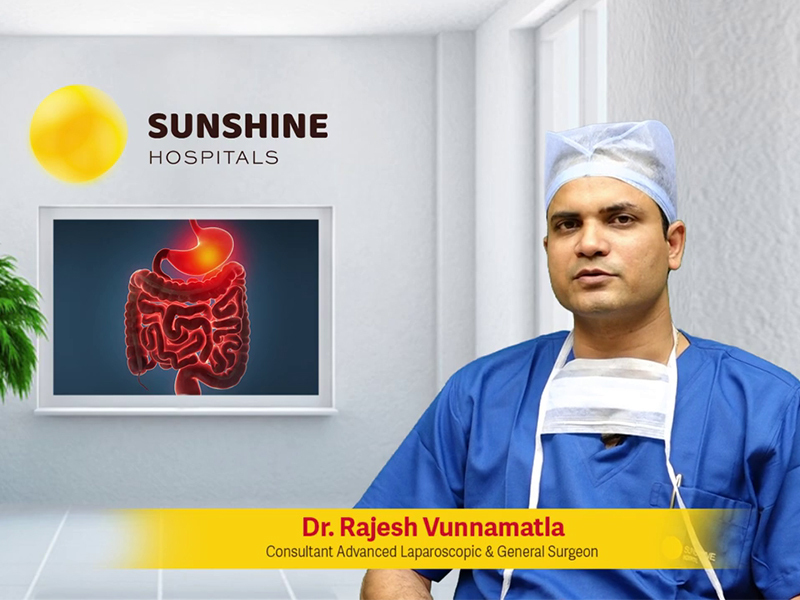 Dr. Rajesh Vunnamatla, Consultant Advanced Laparoscopic & General Surgeon, at Sunshine Hospitals, Gachibowli, talks about Hernia & Types of Hernia. Dr. Rajesh mentioned about the treatment options for the hernia. Hernia is caused due to the weak abdominal walls. When you feel a pain in your groin while coughing or lifting something heavy, it is a sign that you might have a hernia. A hernia might not be serious in some cases, but often it causes life-threatening complications. Watch out the video to know more about the hernia and consult our expert doctors at Sunshine Hospitals to get the best treatment options.